Good leadership skill training that transforms the quality of a team and delivers improved results. Here we provide the seven key components you must know. In his 1974 book, “Working,” author Studs Terkel said, "People are doing repetitive stuff - big people in little assignments are grinding away at jobs too small for their souls." People don't want to work for a company; they want to work for a cause that transcends the dullness of their everyday duties.” Most of us know deep down in our hearts that we could be doing more, making a bigger contribution to life than we are currently making. We yearn to have a positive impact on our community and upon the world. We know somehow that we have much more to give - yet we feel trapped by our inability to harness our inner power in order to really make a difference. Perhaps we're not convinced that the world is able to change, or we're paralyzed by our own sense of self-doubt in making change happen. Some people who lack good leadership skill training believe that leaders are born, but I beg to differ. I believe we all have infinite options and opportunities staring us in the face, yet we generally do not recognize or leverage them to our advantage. There are specific characteristics and behaviors of leaders who really make a difference in the world and I believe they can be learned and practiced. James MacGregor Burns coined the phrase, 'transformational leadership' in 1978 in describing the ideal leader. While his concepts are valid, I believe brilliant leaders are able to not only empower people to follow a dream, but also to deliver outstanding results. The 7 key components of good leadership skill training listed below describe traits that transform and deliver real results. The first step to good leadership skill training is assessing what is truly important to you. Without that clarity, you'll no doubt find yourself drifting upon the sea of life, not certain of where you stand or what your real purpose is. Additionally, you need to know the values of the people around you. I've discovered that we rarely take the time to share with others what's in our hearts, especially at work. Yet I do find that the sharing of values is one of the things that bind people together. Even if your values are different from the people you work with, knowing what is important to them will help you position your commitments in terms your co-workers can understand and respect. Leaders with good leadership skill training have vision - a clear picture of what the future ought to look like. They share that vision in a way that inspires others. They paint a visual picture of how the world can be a better place and how each of us will benefit from that brighter future. According to “Great Place to Work®,” one of the three components to creating a great place is in trusting the people you work for. Trust is built by honoring your commitments, being reliable and consistent in the way you treat others. Also important in good leadership skill training is your willingness to share important information so that people are not left with the sense that you have any ulterior motives. Some managers motivate with the carrot and stick approach. While this may keep people focused, it is not be sufficient to gain their hearts and loyalty. Appealing to the intrinsic needs, values and desires of people will have them leaping over tall burning buildings to reach their goals. Appeal to people's higher sense of purpose by articulating what's really important about the goal and how they can contribute to the creation of that desired end result. As far back as the 17th century, philosopher and poet, Dinah Maria Mulock Craik, said, "A vision without a task is but a dream. A task without a vision is drudgery. A vision with a task is the hope of the world." The creation of tasks is what planning is all about. It's fine to be inspired and hopeful about a brighter future; it's quite another thing for a leader to be able to lay out a road-map about how to get there. 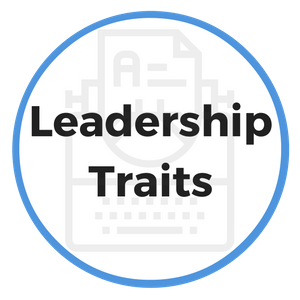 Leaders with good leadership skill traits are able to chart out a course of action, often by starting with the desired future and working backward. By envisioning the future and then asking, "What needs to happen in order for that to happen?” This question will reveal many of the steps that need to be taken. Anticipate obstacles and develop contingency plans as part of a good leadership skill training plan. "The devil is in the details." 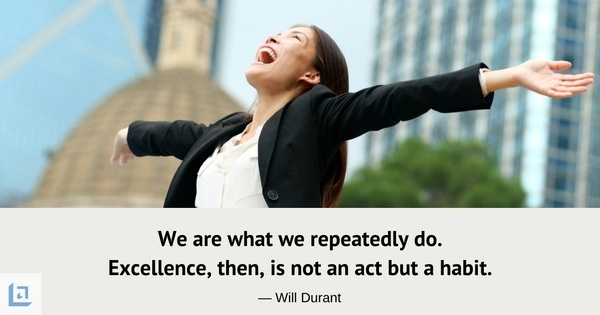 Great execution is focusing on the details and doing them well. Managers with good leadership skills will set aside their fears and inclinations to just get by and do the minimum required. To use a tennis analogy; flawless execution is keeping your eye on the ball until 'after' the point of contact with your racket. Doing all the things you know you should do and doing them well. 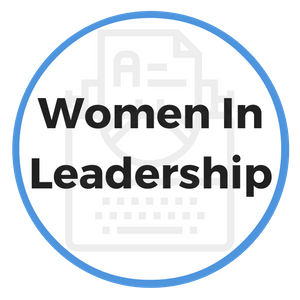 In this final phase, you document what's working as you go along to acquire good leadership skills. At the end of the project debrief with all of the key people involved and identify the major learning’s that can be applied to future endeavors. Document your findings and make sure everyone who can benefit from your new wisdom is properly informed. Assess yourself in light of these components. Decide in which of them you excel and which you need to strengthen. Use and leverage the skills you’ve already developed and practice the ones you need to improve on. Read books on the subject of good leadership skill training. As stated earlier, we all have more options than we generally see - and more control than we tend to take. You can take more control in the expression of your leadership - and using these simple concepts is a great start. 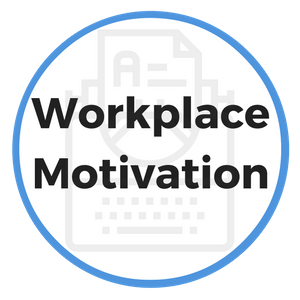 If you want to continue on this topic, we've created a companion article that moves beyond "concept" and gets you moving toward the "how to implement" - Leadership Motivation In The Workplace.